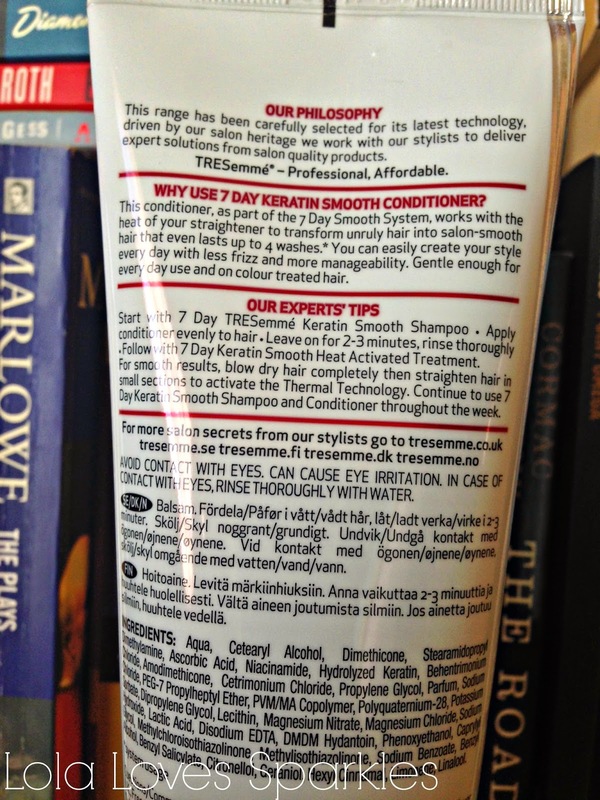 Today's post is about the second step in this system, the conditioner. 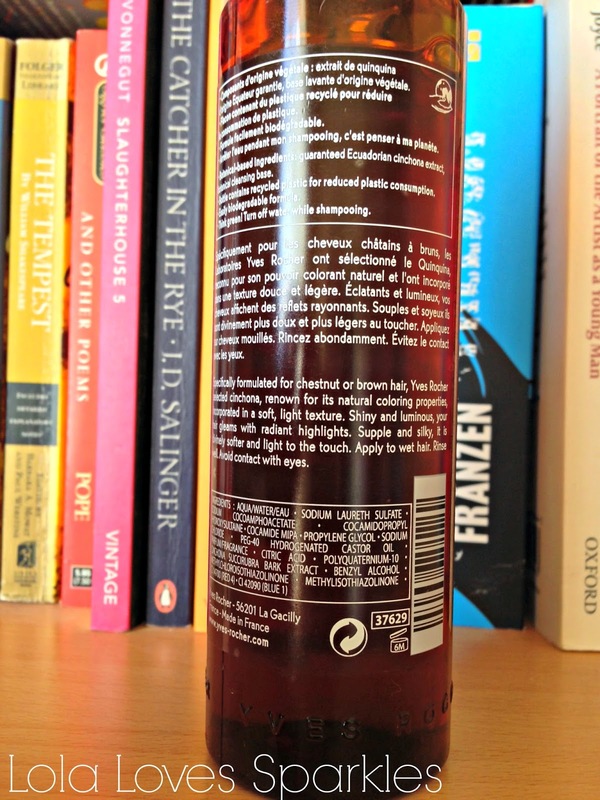 It comes in the same tube as the shampoo and so you also get 250ml worth of product. The conditioner has the same delicious smell as the shampoo and is also infused with Keratin, so that it gives you smooth and shiny hair without the need to visit your salon! As you can see in the above photo, after you have rinsed your hair from the shampoo, you apply this conditioner and leave on for 2-3 minutes before rinsing it. 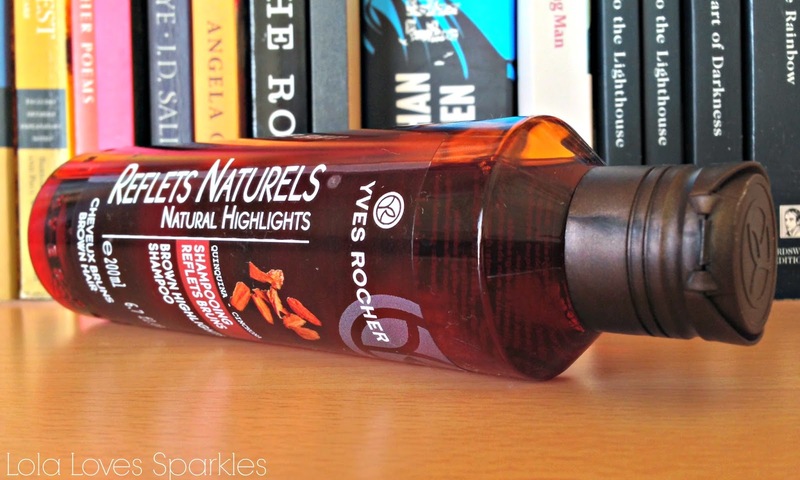 So if you have dry, unruly, frizzy hair, this is definitely a product you should look out for. 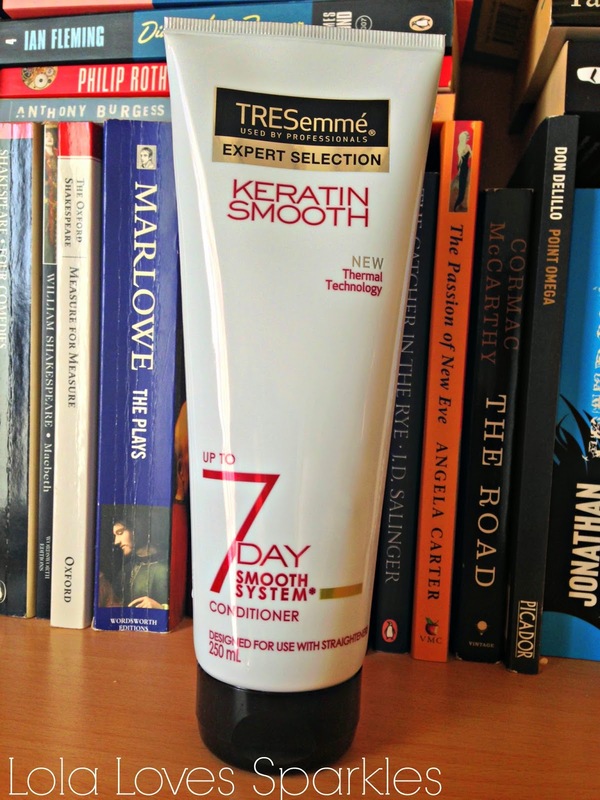 The TRESemmé 7 Day Smooth System Conditioner costs €6.75* and it is now available throughout Malta and Gozo. 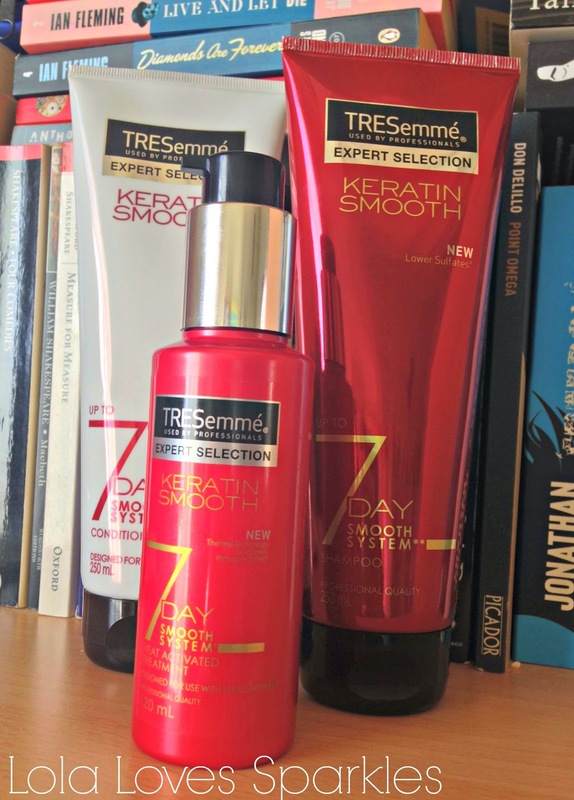 Keep posted for my final TRESemmé review in the coming days! In the wheel you get approximately 200 pcs and they are assorted: hearts, ovals and round shaped. ...this way they will match a huge variety of nail polish shades! You can use the code AIB10 for 10% off your whole order. 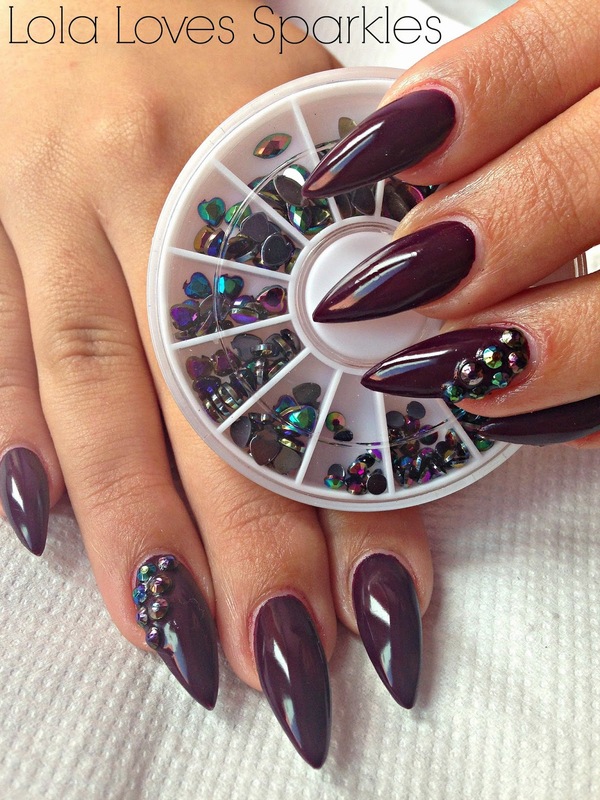 For more nail art ideas by yours truly, check out my official nail facebook page Nail Candy by Lorraine. 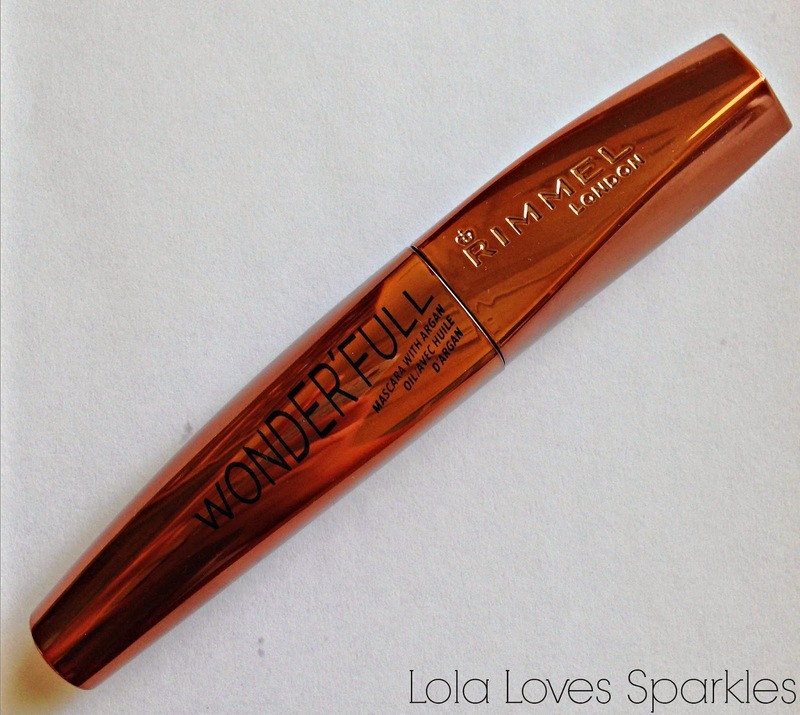 I was pleasantly surprised when I saw that my pharmacist stocked the new Rimmel Wonder'Full mascara because 1) it has argan oil and 2) it is super cheap 3) it's always nice to test out new mascaras even though 9/10 times they disappoint. But do I like it? Read on! 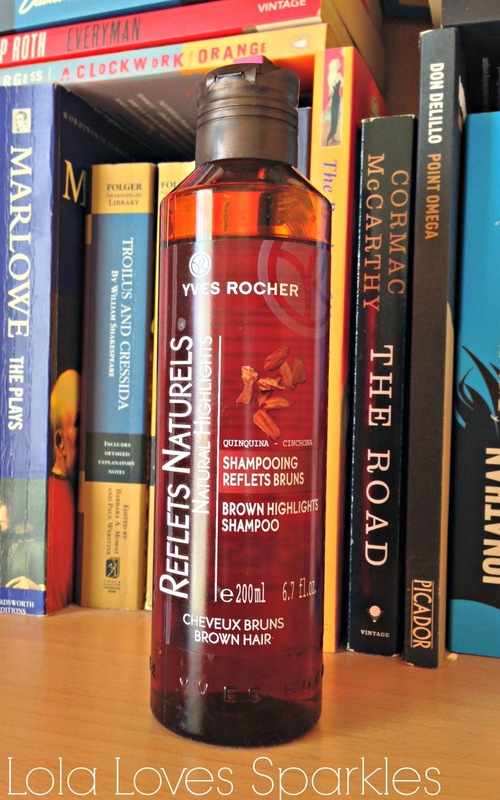 First off I wanted to say that I love the Bronze-y packaging of this one. 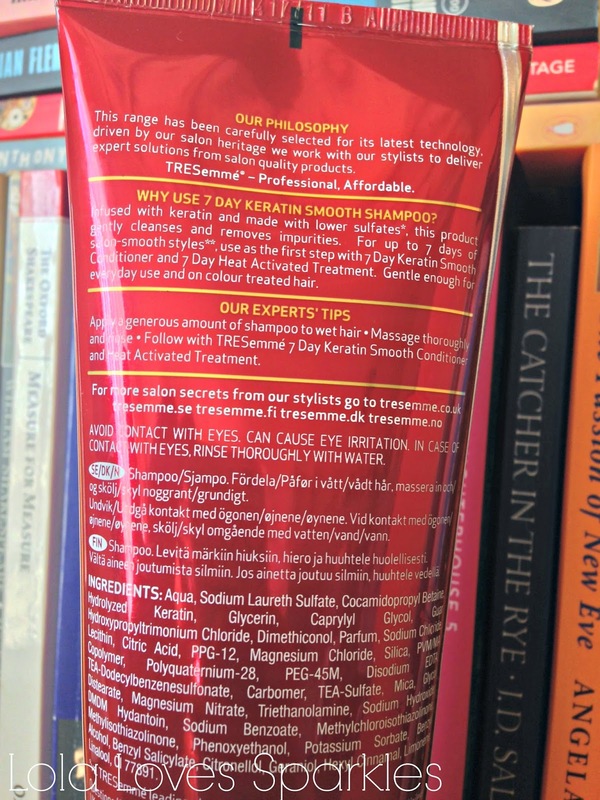 Secondly I was really intrigued by the Argan Oil part, but I thought hey! if it is good enough for my hair and for my skin, it should work wonderfully on my lashes. As a matter of fact this does not harden up your lashes like some other mascaras do - in some weird sort of way they feel soft and bendable - actually I think it conditions my lashes. As you can see from the pictures, the wand is make from silicone and has short, spiky bristles. 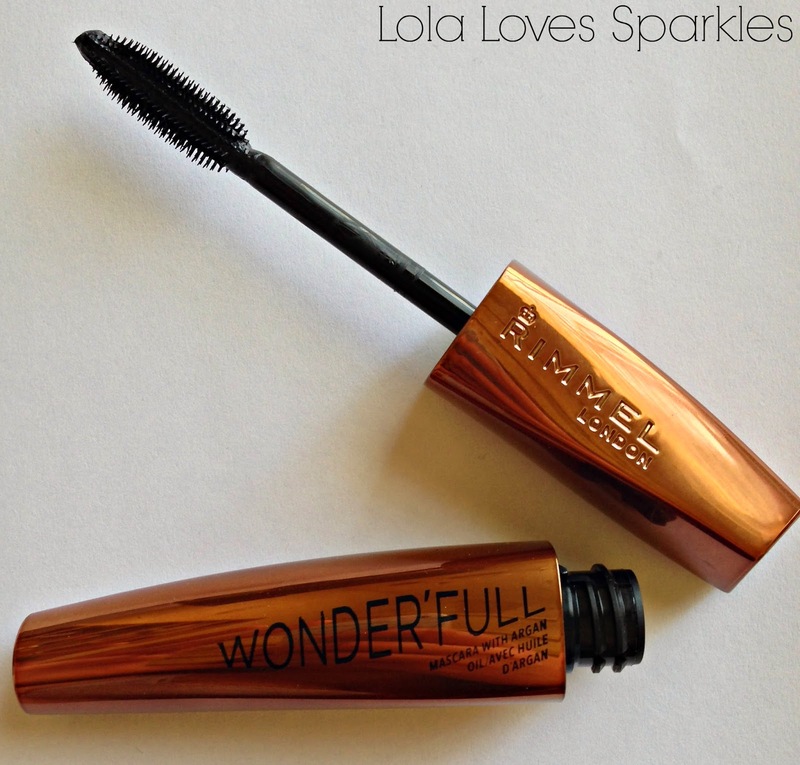 This mascara gives a fanned out effect to your lashes, which makes them very natural looking. In my opinion it is more of a lengthening mascara than a voluminising one. 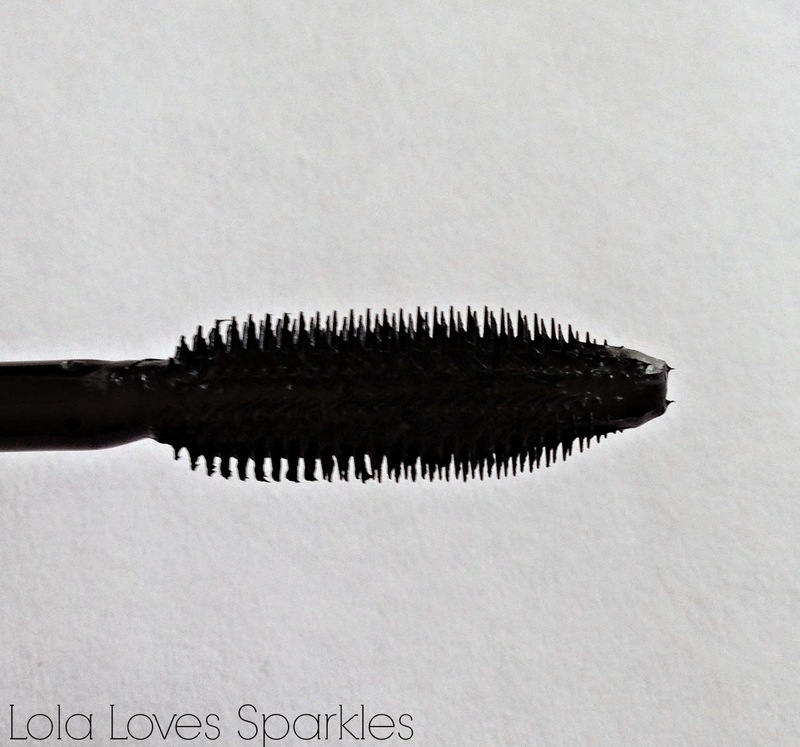 This has a clump free formula so if you're into a natural look, this mascara is definitely for you! Plus you can apply more than 1 coat without getting spidery lashes. If I'm honest the first couple of times I used this Rimmel mascara I wasn't wowed, but after a couple of uses I always find that mascaras deliver better, perhaps because the formula dries up a little bit. 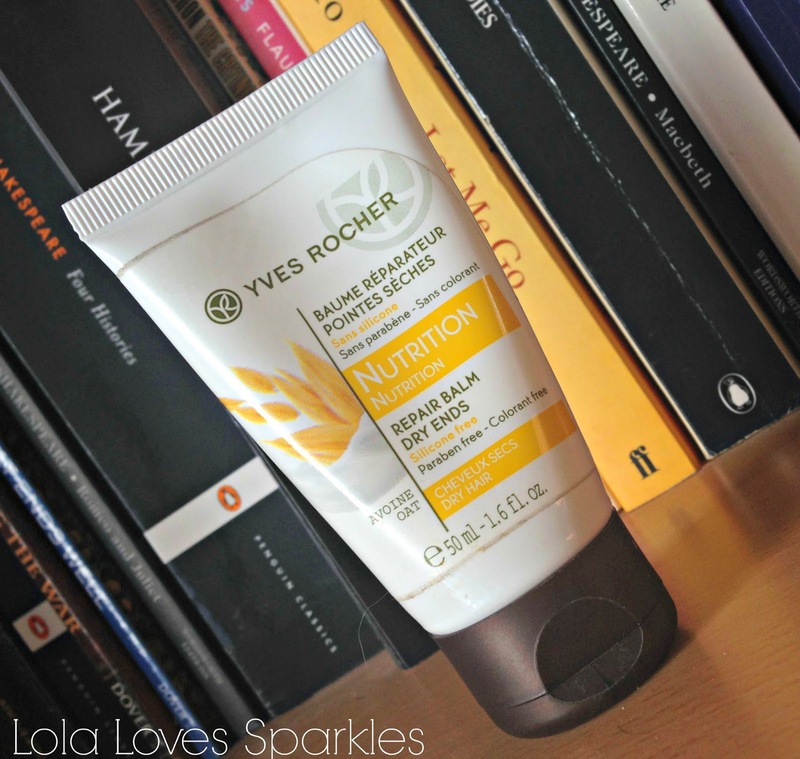 This Yves Rocher Repair Balm Dry Ends* has become my latest favourite and I've been using it religiously for the past month. Have you got dry ends? If yes, you'd better keep reading. 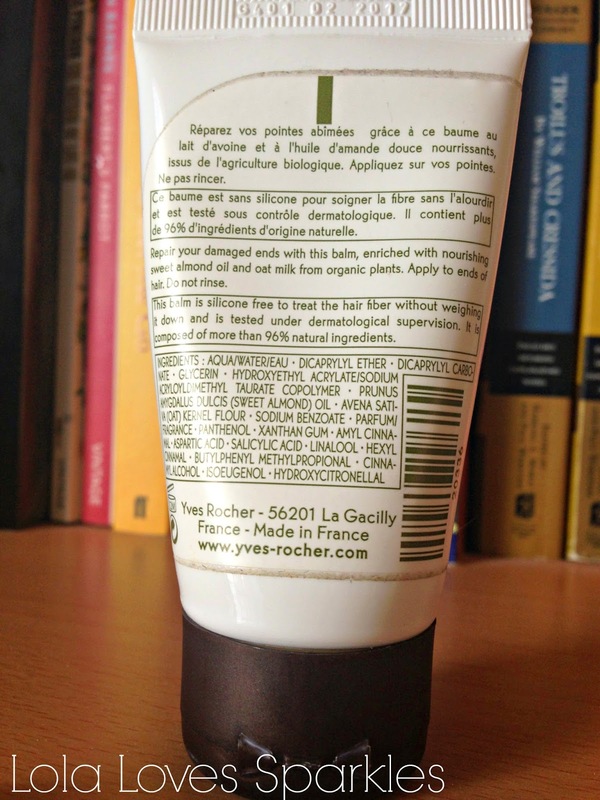 Like the majority of Yves Rocher products, this Repair Balm is silicone, paraben and colorant free. It is also made with natural ingredients (more than 96% to be exact! ), so it has a slight flowery scent which is not overpowering, but it is there. The scent also lingers on your hair for quite a while. I don't mind it at all but you'd better take a whiff while you're at the store. After all, this means that the product is indeed made with natural products and there are no plastic-y, fake smells mixed to it. The balm is white and looks like conditioner. 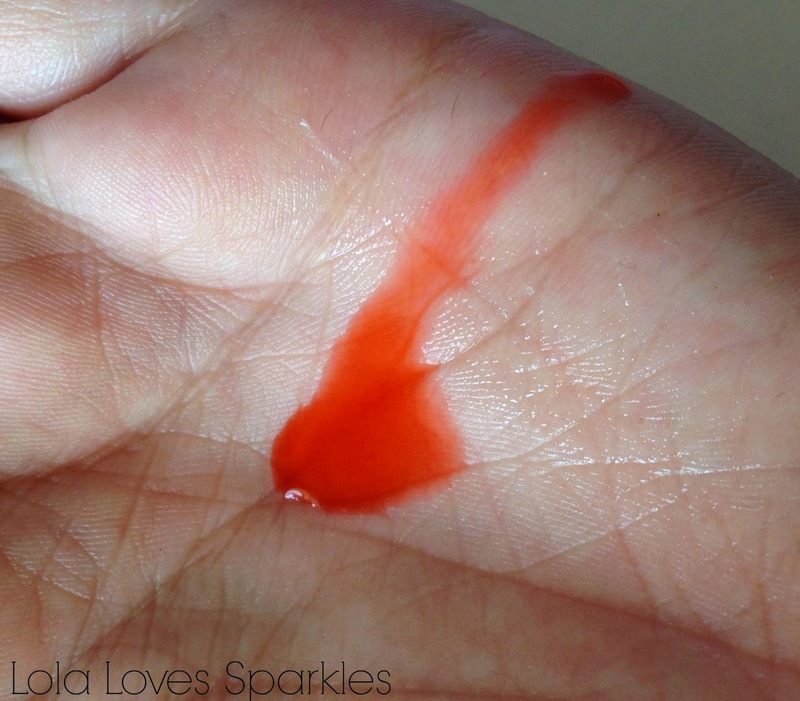 To use you just squeeze a dollop on your hands, and apply to your ends. I sometimes use this while my hair is towel dried, or when my hair has dried out. 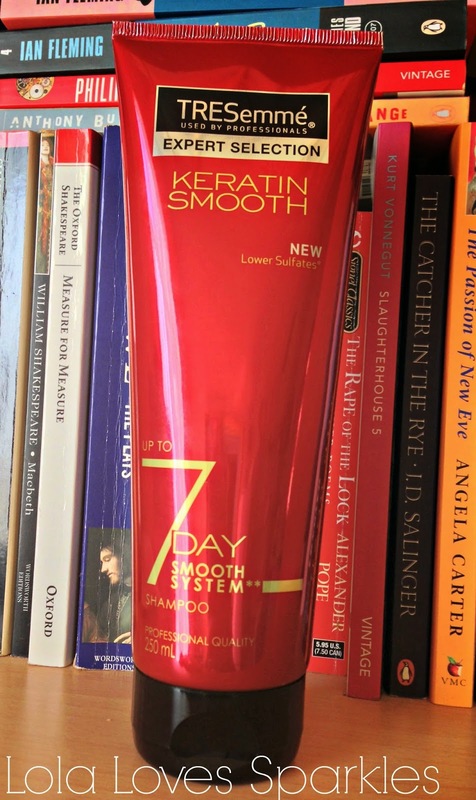 I also like to re-apply it on 2nd or 3rd hair day instead of using hair serum so as not to weigh the hair down. I'm happy to say that I've seen a vast improvement on my hair from day 1 - and this is no mean feat since this rarely happens with hair products. I think that it makes split ends less noticeable and also softens your hair. Friends and family have also noticed a difference, and have told me that my hair looks a lot better. Of course, since I've bleached the ends of my hair it has gone a bit crazy and dry, and since my hair is quite thin it tends to split immediately (even if I just blowdry it) This balm has worked quite nicely though! I'm already half way through mine - and I will definitely re-purchase it. The Yves Rocher Repair Balm Dry Ends costs €8.90* for 50ml and you can get yours from the Yves Rocher outlets in Sliema, Valletta and Paola.